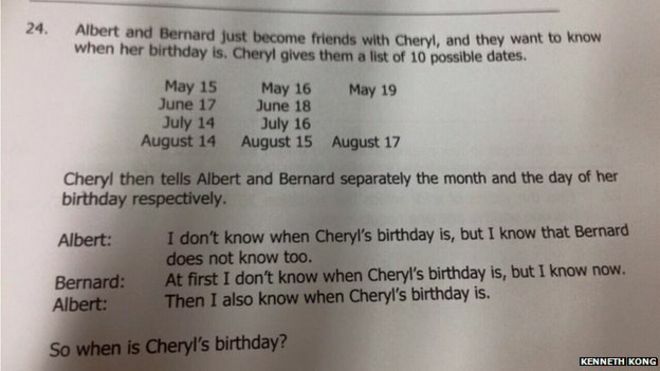 Cheryl’s birthday – can you solve this Singapore maths logic puzzle? Singapore maths is all the rage at the moment, and now this super hard logic puzzle has been shared on the internet. Can you figure it out? If you want to ‘check’ your answer, here’s the solution below. http://www.greatgradestuition.com/wp-content/uploads/2015/08/Hexagon-logo-idea-5-flat1.png 0 0 Austin Booth http://www.greatgradestuition.com/wp-content/uploads/2015/08/Hexagon-logo-idea-5-flat1.png Austin Booth2015-04-14 18:17:132015-04-14 18:18:20Cheryl's birthday - can you solve this Singapore maths logic puzzle? When are my exams again?! Exam season is almost here, with just over a month until exams start for most students! In case you don’t know when your or your teenager’s exams are, here are the links to the GCSE exam timetables for the main exam boards. If you’re doing an international GCSE (or IGCSE) with Edexcel then you can find the timetable here. http://www.greatgradestuition.com/wp-content/uploads/2015/08/Hexagon-logo-idea-5-flat1.png 0 0 Austin Booth http://www.greatgradestuition.com/wp-content/uploads/2015/08/Hexagon-logo-idea-5-flat1.png Austin Booth2015-04-08 19:23:132015-04-11 23:47:19When are my exams again?! GCSE results day has come and gone for another year, but how do young people really view their results? Perhaps more importantly than we think, according to new research by the Prince’s Trust. One of the most surprising findings is that those with fewer than five GCSE grades A*-C show that 45% believe their life would have improved if they had done better at school, 26% think that their exam results will hold them back, 34% predict they will end up on benefits, and 20% have abandoned their ambitions altogether [from this article]. For me, it is shocking that at 16, so many young people can become despondent about their future and significantly lower their aspirations. Rather they should have the attitude that anything is possible. But how can we help them to do this? Bullying at a young age is more damaging than previously thought. 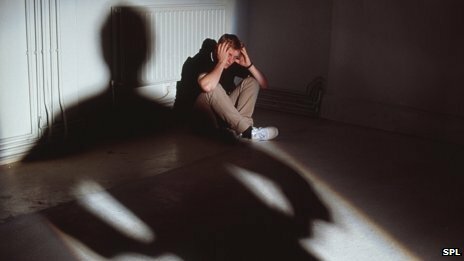 A shocking new study (reported here) has shown that childhood bullying is more damaging than previously thought. It can affect a person right into adulthood, affecting their health, career and relationships. Furthermore school bullies were found to be more likely to become adult criminals. This gives further reasons why bullying can not be tolerated, and raises issues about how schools deal with it. All too often teachers and schools, with many other things to deal with, can think it is relatively unimportant, or that it is up to parents to deal with such issues. Has school bullying affected you? Or if you’re a teacher, how does your school deal with bullying? UK education reform too fast? At last some MP’s are saying that the planned education changes may be too much too quickly. http://www.greatgradestuition.com/wp-content/uploads/2015/08/Hexagon-logo-idea-5-flat1.png 0 0 Austin Booth http://www.greatgradestuition.com/wp-content/uploads/2015/08/Hexagon-logo-idea-5-flat1.png Austin Booth2013-01-31 18:40:112013-08-25 00:08:10UK education reform too fast? Interesting news item today that Ofsted have decided that regular state schools aren’t pushing their brightest pupils enough. As a teacher I whole-heartedly agree with this. It is almost impossible to cater for one or two students in a class that are much brighter than the rest. That said, if we were to allow students to learn at their own pace using video lessons and assessment of mastery, investigate topics for themselves and follow their own interests (within limits) and maybe even mix up classes so they have pupils of varying ages and not just one (so they can develop more responsibility and have more opportunities to teach and mentor younger pupils) maybe this would help. This is what Sal Khan of the Khan Academy in his book advocates, and I can’t help but think that some of it may just work. First the board became interactive, now the desk. Celebrity status for tutors has got a long way to go in the UK, but not in Asia.